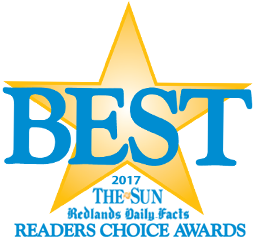 We are pleased to announce that readers of the San Bernardino Sun and Redlands Daily Facts newspapers voted Beaver Medical Group as “Best Medical Group” and our Urgent Care Centers as “Best Urgent Care” in the annual Readers’ Choice Awards for 2017. Congratulations also go to Dr. Mary Mailander whom readers voted “Best Pediatrician." This is the eighth time Beaver Medical Group has been voted best medical group, and the third time our Urgent Care Centers have been voted best! The physicians and staff at Beaver Medical Group would like to thank everyone who voted for us!